Proposed Sunset Park Rezoning used with permission of the New York City Department of City Planning. All rights reserved. 128-block rezoning would establish height limits in Sunset Park. On August 5, 2009, the City Planning Commission approved the Department of City Planning’s rezoning proposal for Brooklyn’s Sunset Park. The majority of the 128-block rezoning area is bounded by 40th Street to the north, the Gowanus Expressway to the south, Eighth Avenue to the east, and Third Avenue to the west, with a small area to the north, bounded by 29th and 37th Streets, and Fourth and Fifth Avenues. Sunset Park is a predominantly residential neighborhood characterized by two- to four-story rowhouses along side streets, and five- to six-story apartment buildings found on the avenues, including retail and commercial corridors along Fourth, Fifth, and Seventh Avenues. There are also two small pockets of detached and semi-detached houses in the southwest corner of the rezoning area. Under its current R6 zoning, the area has experienced an increase in development resulting in out-of-scale apartment buildings that are inconsistent with its low-rise context. The proposal would replace the R6 zoning with contextual zoning districts — R4A, R4-1, R6B, R6A, and R7A — that more closely match the area’s diverse, built context. The plan would apply the R6B district to portions of 121 blocks along many of the narrow residential side streets, establishing a maximum height of 55 feet. Planning would rezone 60 blocks along portions of Fifth and Sixth Avenues to R6A and apply the higher-density R7A district to 101 partial blocks along the major commercial corridors of Fourth and Seventh Avenues. To promote the construction of affordable housing, the City’s Inclusionary Housing program would apply to the proposed R7A district. The plan would also rezone 10 blocks to C4-3A to establish maximum building heights and encourage a broader mix of commercial uses in the area’s commercial center along Fifth Avenue. At the Commission’s public hearing on July 1, residents testified in support and in opposition to the plan. A representative of Friends of Sunset Park spoke in support, but said the height limits along Fifth and Seventh Avenues were too high and would not protect views of downtown Brooklyn and Manhattan. Speaking in opposition, a representative of Sunset Park Alliance of Neighbors stated that the proposal required a more thorough environmental review that considered the plan’s potential displacement of low-income residents. The Commission approved the plan, finding that it would effectively preserve the existing scale of Sunset Park by supporting its local retail corridors and protecting the residential side streets. The Commission noted that Planning developed the proposal in response to the concerns of Brooklyn Community Board 7, and refined the plan through a “fully participatory public process” over the course of two years. The City Council has until October 1, 2009 to vote on the proposal. 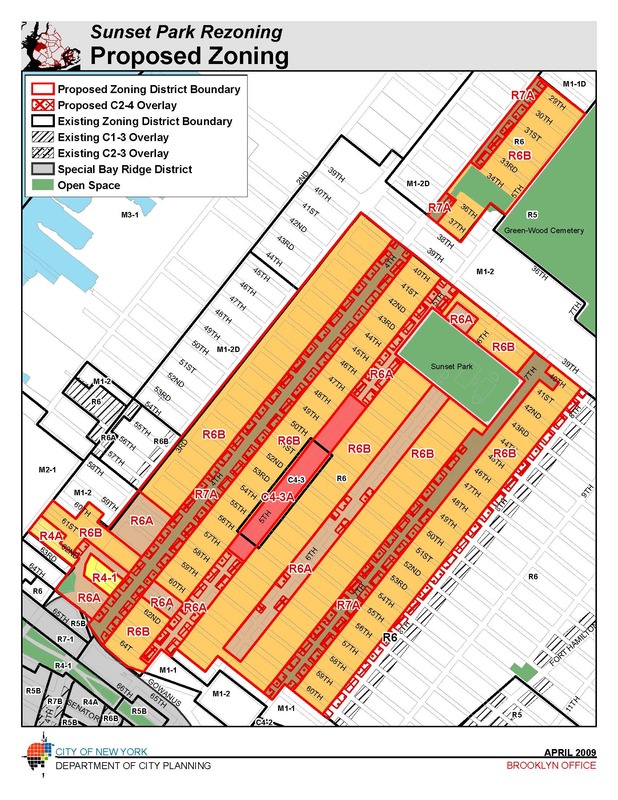 CPC: Sunset Park Rezoning (C 090387 ZMK – rezoning) (N 090386 ZRK – text amend.) 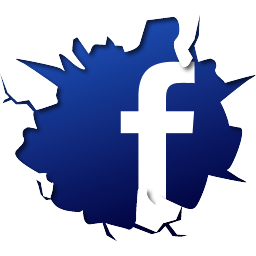 (Aug. 5, 2009).